in Search Marketing, Social Media Both comments and trackbacks are closed. People have been speculating for some time that Facebook could emerge as the biggest threat to Google’s dominance in search. With the announcement of Graph Search, that speculation will only gain momentum. 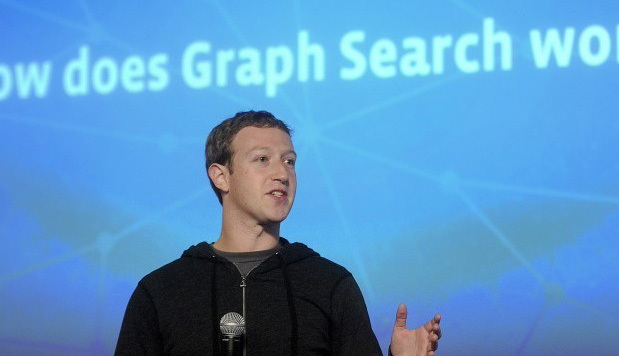 So, what is Graph Search and how will it change the way marketers use Facebook (and its partners)? According to Facebook, Graph Search is a “new and improved search experience that allows users to discover people, places, and things on Facebook.” In a sense, it’s just Facebook’s onsite search, powered by Bing and personalized using information from your network of friends. Graph Search can also be viewed as a sort of filter, so when you want to see pictures of your friends in New York, you would type that phrase into Graph Search. According to Mark Zuckerberg “Graph Search is designed to take a precise query and return to you the answer, not the links where you might get the answer,” and the company is not positioning the new service as a competitor to Google. Unlike Google and other engines, Graph Search is not indexing the Web and, according to Facebook, only objects shared on the site will appear as a result in the search bar (though some suggested queries will trigger Web searches powered by Bing). Graph Search is in a limited beta, so there are no immediate implications for marketers. However, there are factors to consider and steps you can take to ensure that you are prepared for the wider roll-out, which could have a major impact on your business. 1. The importance of fan base/audience numbers will grow. For marketers already investing in their Facebook presence and community, Graph Search shifts the focus back to the size of your audience. For the past year or so, Facebook, and 360i, have been encouraging marketers to focus on quality and engagement with existing fans rather than pure quantity. Engagement will remain important because it drives conversation and organic discovery of content, but Graph Search makes the number of fans important again. The more fans/connections a brand/place/page has on Facebook, the more likely that entity is to show up in a Graph Search. 2. Businesses and brands need to focus on Facebook places/check-ins. Graph Search in its current form is a perfect fit for searches with local intent, so Facebook check-ins are even more critical for Places. Places should start encouraging Facebook check-ins the same way they do with Foursquare or Yelp, and brands that hold events should do the same. The local effect should explode when Graph Search extends to mobile, so thinking about it now is wise. 3. Instagram integration could add even more power to Graph Search. Instagram drives a huge number of check-ins because most photos map back to their respective locations. If Facebook decides to integrate these two platforms (which we consider probable), Instagram’s content could have a major impact on Graph Search, and, therefore, your business. Given this, marketers have another reason to consider Instagram as a place where they can connect with consumers. 4. Facebook advertising remains critical. Though Sponsored Search is not included in the beta version, advertising within the platform should increase in importance as Facebook evolves into a discovery engine. Marketers should still invest in amplifying their content and supplementing the organic growth of their audience. *****In its current incarnation, Graph Search doesn’t pose an immediate threat to Google. The primary reason for this conclusion is that Graph Search doesn’t provide results outside of Facebook, which means people are going to be less likely to find what they are looking for, resulting in a credibility problem. However, one place Graph Search will likely have an impact on is the local landscape, which means that services like Yelp! are the ones to be nervous, especially when the Graph Search goes mobile. Until we know for sure, keep building up and engaging your audiences on Facebook, and good results should follow regardless of how Graph Search evolves. Mike Dobbs, Group SEO Director at 360i, contributed to this report.